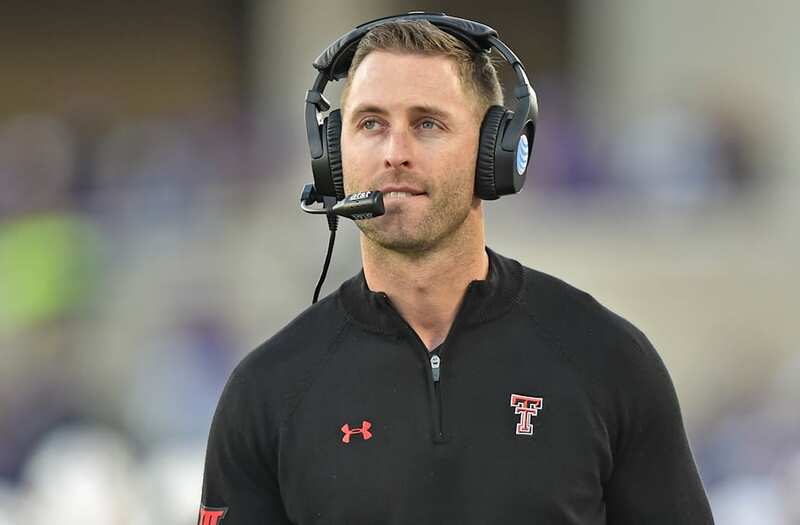 Is it hot in here or is it just Texas Tech's coach, Kliff Kingsbury? The college football coach has been heating up the sidelines at the school since 2013 and shares a striking resemblance to Ryan Gosling. As the only head coach in a Power 5 conference under 40, the 36-year old is used to making girls swoon. His first two years as coach caused quite a raucous in the football world as girls flocked to get a glimpse of the coach on the field. Fans swarmed the games, many admitting they had to do a double-take when they saw the coach on the field. Texas Tech even capitalized on the attention, releasing t-shirts with Kingsman's face on it and the slogan, "our coach is hotter than yours." However, the sideshow may have done more harm than good. Kingsman has gone 5-13 in one of the worst seasons in Texas Tech's history. And although the ladies love "Coach Gosling," Kingsman has been eager to shed the celebrity moniker. After a shirtless photo of him went viral, he told the Dallas Morning News that there will be no more shirtless photos of him gracing the Internet, saying, "I learned a lesson about keeping my shirt on." Since then, Kingsman has sadly stayed out of the spotlight, telling people to focus on the football program rather than his abs, especially after last season's less-than-stellar performance. "As a head coach, I'm trying to evolve and improve," he told the newspaper. We'll try to keep our eyes on the game, Coach, but that doesn't mean we won't glance at the sidelines every now and then. We're not making any promises.